The Philadelphia Housing Authority (PHA) currently houses approximately 80,000 people in the City of Philadelphia. Most of Philadelphia’s properties were built before 1978, when lead-based paint was routinely used. Since 1978, a large majority of PHA’s properties have been renovated, but many pre-1978 properties remain. The PHA has contracted with Batta Environmental to conduct lead-based paint and lead hazard inspections, training, testing and monitoring activities within various PHA properties over the next five years. 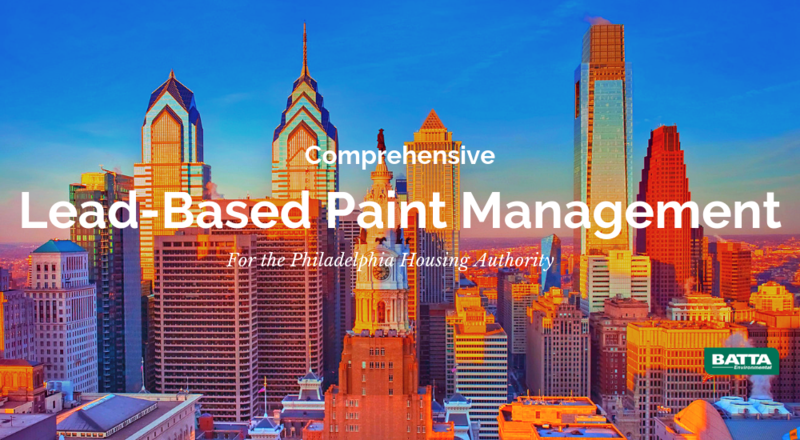 Batta is providing large scale – comprehensive Lead-Based Paint Management Services inclusive of 1) Lead Paint Risk Assessments, 2) Lead Paint Inspections, 3) Dust Hazard Evaluations and 4) Renovation, Repair-Painting (RRP) Oversight for The Philadelphia Housing Authority (PHA). Philadelphia’s Housing Authority is the fourth-largest Housing Agency in the nation – Caring for more than 80,000 residents located all over the City of Philadelphia. The Housing Authority is responsible for protecting its City tenants, property owners, and employees from lead poisoning under the HUD rule.  Together Batta and PHA work together to limit Lead exposure by detecting and reducing the lead content in house dust, paint and soil. Our large pool of certified and trained Lead Risk Assessors/Inspectors, Lead Dust Wipe Technicians and RRP personnel have more than 200 + years of relevant experience. The team works quickly and efficiently from our Philadelphia locations to be ultra-responsive; all Lead-based Paint Analysis is done through our in-house independent laboratory, BATTA Laboratories, who is accredited through the National Lead Laboratory Accreditation Program (NLLAP). BATTA Environmental Associates frequently works with the Philadelphia Housing Authority, as well as various other public agencies. We strive to provide thorough reports, responsive service, and quick turnaround on all projects we play a role in. A Lead Risk Assessment (RA) is an on-site investigation to determine the presence, type, severity, and location of lead-based paint hazards (including lead hazards in paint, dust, and soil) and provides suggested ways to control them. For each identified paint, soil, or dust hazard, a recommended corrective action is provided. The two types of corrective actions are 1 – abatement which is a permanent long-term solution or 2 – interim control which is a shorter-term solution. Batta is providing RAs to hundreds of PHA properties per month. BATTA completes LBP Inspections in response to PHA pre-construction or renovation needs. Inspections are performed in units and common areas and generally follow construction and/or renovation scope of work. Inspections are also performed in response to Lead Hazard Controls or Lead Reduction for construction/renovation projects. BATTA quickly dispatches Lead Dust Wipe Clearance Technicians throughout the City to visit Conventional and Scattered properties. Dust wipe samples are secured from floors, window sills, and window troughs and are brought back to Batta Laboratories for immediate analysis. Our Management provides lab data and interpretations to PHA in less than 12 hours. This level of rapid response allows PHA to effectively manage tenant relocation’s. The purpose of this Environmental Investigation (EI) is to determine the existence of lead-based paint and lead based paint hazards at a subject property which houses a child under the age of six (6) resides. An EI will determine the location, type, and severity of existing or potential health hazards associated with exposures to lead paint. Many different factors can be contributed to the child’s Elevated Blood Lead (EBL) levels which are identified in an EI Final Report; The report will identify the areas that pose a hazard of lead exposer. If you suspect you have lead in your home or environment, we can help.